This week it’s my turn to introduce to you the second of Journeys by Design’s own Seven Wonders of Africa, chosen by myself. 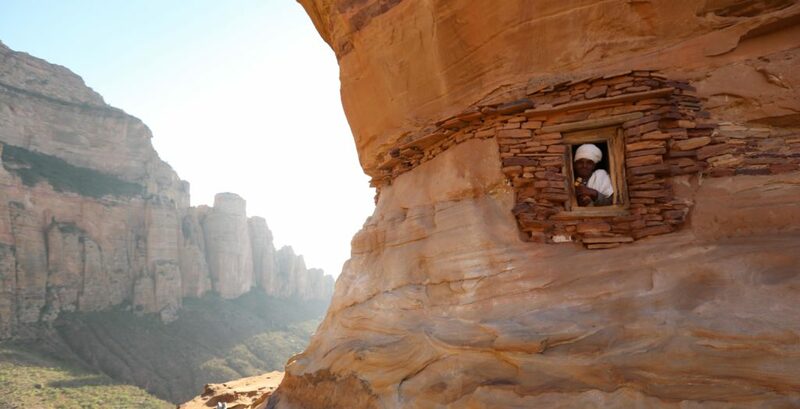 Of course, I barely had to think before I had my answer: the rock-hewn Abuna Yemata church in Tigray, northern Ethiopia. The Abuna Yemata is one of over 100 churches in Tigray. I experienced Ethiopia for the first time in May of 2017. I was staying at Korkor Lodge, which is a really wonderful place and definitely added to the experience as a whole. 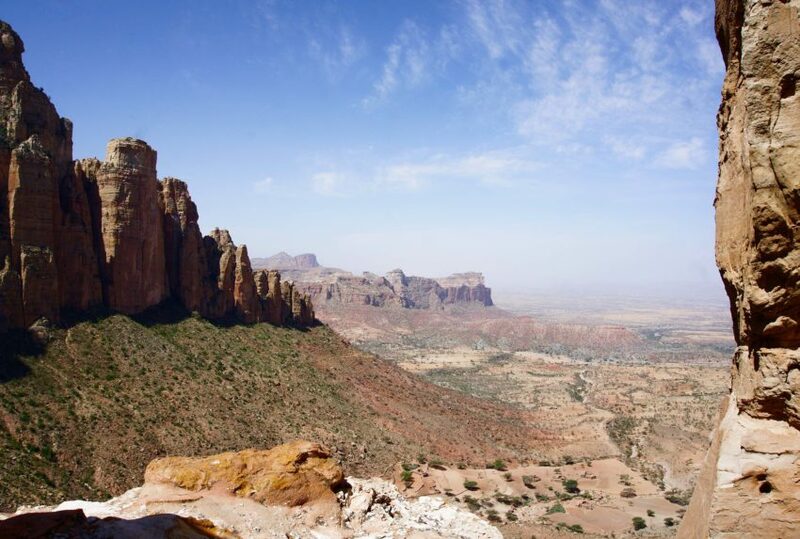 Tigray is absolutely phenomenal – it’s just endless vistas of arid landscape and mountains. With just a few days left in Ethiopia, we took the long and arduous walk up to the church entrance. After an hour and a half, you reach quite a steep spot where you get roped up for the ultimate part of the journey. This was the point where the rest of the group decided to stay back as I carried on by myself with our experienced guide. Once safely secured, the last leg involves standing up and walking around a very narrow pathway leading to the church entrance. I found it terrifying yet awe-inspiring; you’re at such a height and can just see over the entire landscape. Whilst walking up some of the steepest parts, we saw some mothers heading the same way, carrying their babies all the way up to be baptised in the Abuna Yemata. I find it amazing that the locals walk up there to pray and some even frequent it daily. The walk to Abuna Yemata is definitely an acquired taste, but for people like myself, who enjoy adrenaline and activities, it’s absolutely amazing. Being in the church was definitely one of the most memorable experience of my life. It was so peaceful and tranquil. There was a young boy, probably about 12 years of age, who had trekked up to the church and was reading some passages from the Bible in Ge’ez, an ancient South Semitic language which originated in the northern region of Ethiopia. For a little while I just sat listening and admiring the murals and paintings on the wall, which date back to the 15th century. I should mention the images used in this blog were not taken by myself. I consciously chose not to take my camera with me on the walk for various reasons, the most obvious one being I didn’t think I would be able to hold on to the rocks and manoeuvre a camera at the same time. But practicality wasn’t the only reason. I enjoyed not having a camera on me because it meant that I was living entirely in the moment and all the memories I have from the day are in my head. This means a lot more to me than having a digital file or a physical photograph. Furthermore, I saw it as a mark of respect for the local people. I personally wanted to experience it as the locals do and not as a photo opportunity. Of course, this is my personal view and I know others may value physical images more than I do. I would suggest finding a happy medium and taking only a few images, making sure you make the most of being there, in the moment, as well as having photos to look back on and treasure indefinitely. 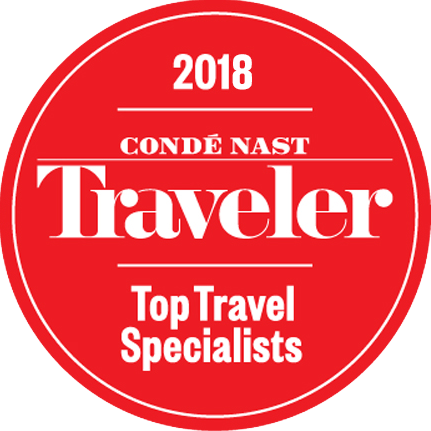 One of the things that made the experience particularly memorable was being barefoot and feeling your body connect with the earth beneath your feet. It is a completely difference experience to walking around in shoes on paved streets. If I were ever to go back – and I would, in a heartbeat – I’d love to do the walk at the crack of dawn, just in time to watch the sun rise from the church entrance. The journey was my first time in Ethiopia and it was so much more than I had ever imagined. I fell in love with the country, its people and its heritage. Everyone should go. If the walk to Abuna Yemata is not quite to your taste, there are many other and more accessible churches in the region. I would highly suggest going to see at least one of them, if not more. If you would like to know more about my trip to Ethiopia or Abuna Yemata, please do get in touch, I would love to talk.